Before we start explaining all the technical details of our Flexso Smart Coffee Machine, I want to tell you how we started. The first blog is part of a showcase and it isn’t the best place to tell how we started. As you may have read, it all started during a hackathon. 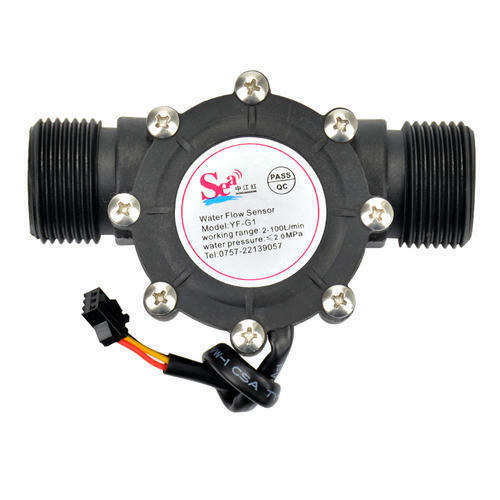 In this hackathon, we didn’t start with the waterflow sensor. Our first idea was to control the coffee machine instead of reading data from it. Therefor we tried to control a Senseo by using a UI5 app. 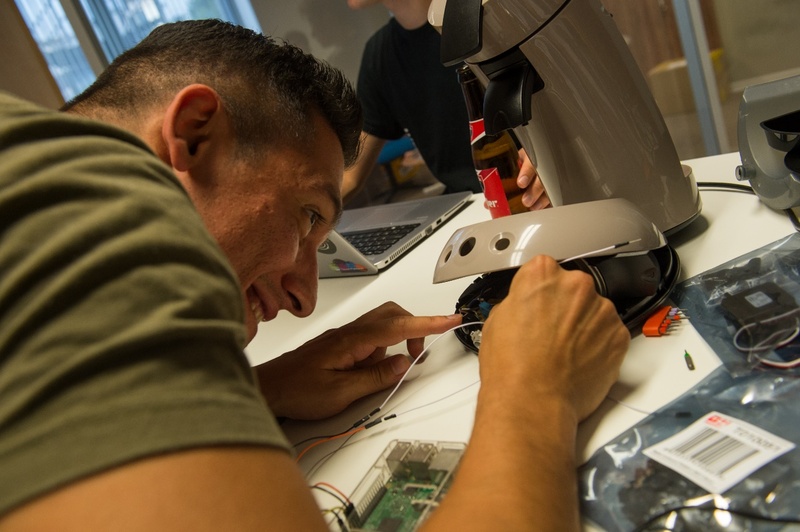 During the hackathon, we opened a Senseo Coffee machine and tried to connect a Raspberry PI to the buttons of the Senseo. We were able to control the On/Off button via python on the Raspberry PI! 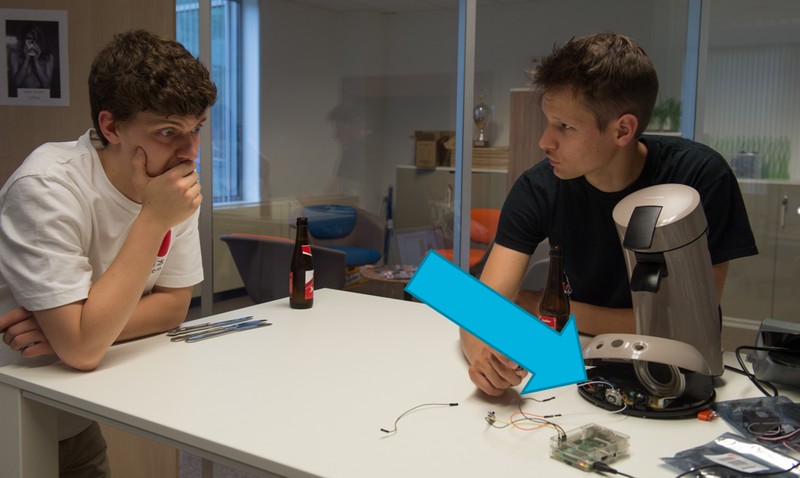 On this picture you see how we connected the Raspberry PI to the On/Off button. You also see Dries who is looking a bit afraid that the Senseo would explode. With a Senseo, you also need to push a second button to get the coffee eventually. To do so, we connected the second button to the Raspberry PI. On the next picture you see Augusto, who is part of our sales team at Flexso, connecting the second button. I like seeing people to try learning something. It’s really interesting that SAP world is baby on automation systems. Even SAP is using big words “IOT” . There is very experienced world and people on SCADA, automation systems. Automation is really linked with electronic science. It’s not possible to success without any electronic knowledge. IOT will be their world not SAP developers or JAVA developers or Python developers. I suggest any guy which is working on IOT start learning electricity and electronic science.